In order to keep things simple I have created flat rates. There are no additional pet, mileage or holiday fees. All rates & services are subject to change at any time. Please be sure that you have enough food/litter & supplies for the amount of time you will be away. 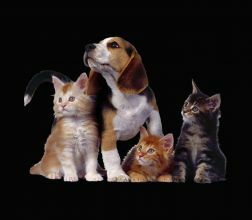 Owners are responsible for poviding all supplies needed for the care of their pets.